They teach that there is no water in processed food. They teach that rubbing your ribcage will stimulate the carotid arteries beneath and increase blood to the brain and “activate the brain for an increased flow of electromagnetic energy”. But let’s not leave it with a recap. They promote strange physical origami exercises called “hook-ups” where you press your fingers against each other in odd patterns, because these “connect the electrical circuits in the body, containing and thus focusing both attention and disorganised energy”, as they say in the Brain Gym teaching manual. They teach a funny way of wiggling your ears with your fingers that “stimulates the reticular formation of the brain to tune out distracting, irrelevant sounds and tune into language”. They teach that rocking your head back and forth will get more blood to your frontal lobes “for greater comprehension and rational thinking”. This stuff is bonkers. I could go on. In fact, I will, because so many teachers have written in to defend it. They teach that a special theatrical yawn will lead to “increased oxidation for efficient relaxed functioning”. Oxidation is what causes rusting. It is not the same as oxygenation, which I suppose is what they’re getting at, and even if they are talking about oxygenation, you don’t need to do a funny yawn to get oxygen into your blood: like most other animals children have a perfectly adequate and utterly fascinating physiological system in place to regulate their blood oxygen and carbon dioxide levels, and I’m sure many children would rather be taught about that, and indeed about the role of electricity in the body, or any of the other things Brain Gym confusedly jumbles up, than this transparent pseudoscientific nonsense. Now to my mind, this is classic Bad Science, and a perfect parallel to the rubbish peddled by self-appointed “nutrition science” experts. The advice they are offering is sensible: “take an exercise break to help you concentrate” (or “eat some vegetables”, in the case of the food voodooists). But in stark contrast, the science they use to justify this so often seems to be bogus, empty PR, that promotes basic scientific misunderstandings, and most of all is completely superfluous in every sense except the commercial: because the ropey promotional “science” is the cornerstone of their commercial operation, they need it to promote themselves as experts selling a product that is unique and distinct from the obvious, sensible diet and exercise advice that you can’t copyright. So I attacked the stupid underlying science of Brain Gym – I even said I actively agree with exercise breaks – and in return I got a whole load of angry, abusive emails from teachers defending exercise breaks. It was exactly the same when I took a pop at awful poo lady Dr Gillian McKeith PhD for saying that seeds contain all the nutritional energy necessary to make a fully grown plant, and that eating chlorophyll would oxygenate your blood. It’s simple: vegetables good, McKeith bad. Many were “disgusted” by my attack on what they felt were helpful exercises. An assistant head, no less, asked: “From what I can gather you have visited no classrooms, interviewed no teachers nor questioned any children, let alone had a conversation with any of a number of specialists in this field?” This confusion is a not a failure of scientific understanding: this is about basic critical reading skills. 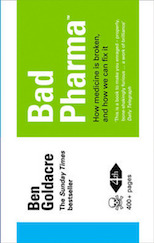 If you attack bonkers PR science behind sensible advice, are you attacking sensible advice? No. 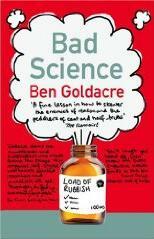 Is it necessary to tell falsehoods about science to get people to follow sensible advice? No. Do I need to visit a classroom to find out if there is water in processed food? No, I don’t. CB I’d say it is quite common to perform some repetitive physical activity when trying to figure out a problem. Some people pace, some throw a tennis ball against the wall, others play with their pens, etc. Heavy metal and punk made me a genius. Then I got hooked on easy listening and it has been downhill from there. Children don’t need to be told to drink fluids. They’ll do just fine having a drink only during the official breaks. If you’re worried they might need something to drink before the next official break you can keep a jug of water on hand and let them know it is there if they require it, but you still do not have to instruct them when to drink for fear they might dry out and blow away. A pint and a half of beer is not a binge. Drinking until you are physically incapable of ingesting any further alcohol, now that is a binge. A drinking binge has been conveniently defined in such a way as to turn almost every alcohol user into a binge drinker and fabricate an epidemic. Sports drinks and fruit juices are not going to rot your teeth. Unless you don’t swallow. Children’s teeth might be slightly more susceptible, but when it comes to baby teeth they’re hardly worth fussing about, and protecting their permanent teeth requires nothing more than having them brush their teeth before going to bed. You don’t notice your thirst while playing a sport because you’re focussed on the activity at hand. You’ll certainly notice it at half-time. When running I actively suppress it until I reach a refreshment point. Personally I’m more worried about childhood obesity than tooth decay. noted. And I’ve now read more of your posts both here and in another place (TES) and you must be careful to quote your quotes. Regards. Over the past couple of years, he’s done some investigation into overhydrating. It’s actually quite easy to do. The usual suggestion of “8 glasses a day” is really something of a maximum – if you simply drink when you’re thirsty, you’re generally going to be ok. It should also be noted that there was a very famous ecstasy death in Australia back in 1994 – a 16 yr old girl (Anna Wood) died because she drank too much water. I was just a bit younger at the time, and it was one of those big “this could happen to you stories”, so I remember it pretty well! Apparently, she’d been told that you had to make sure you drank lots of water when on ecstasy, and she overhydrated and died. Yes, your thirst reflex is a little wonky on ecstasy, this is why most people will pipe up with the advice given to Anna Wood (especially if you’re going to be sweating a lot! ), but it can work both ways (unfortunately). I think there was a similar case in the UK a couple of years ago. Finally (I think this is from Dr Karl originally, but apologies if it’s not) – in recent years, there have apparently been more long-distance runners collapsing during/after races as a result of over-hydration than with dehydration. This is precisely because everyone is oh-so-aware of the potential problems with dehydration, and there is a lot of overcompensation going on (especially among the ranks of fun-runners – ie those without proper coaches etc – not sure if the same applies to the pros). Thanks for that link. Heath is unbelievable – he is now admitting that there are a “few minor errors” in the Brain Gym teachers’ manual but fails to explain why they were put there in the first place or why BG trainers make such use of these errors in their sales patter. He hides behind vague references to neuroscience research but fails to say which research shows that BrainGym produces better results than ordinary exercise breaks. I even left a posting requesting this info last week but it hasn’t appeared yet. You’d think he would have it to hand wouldn’t you? Incidently, have you noticed how huffy he gets about criticism? As one of the other posters said, it looks like he wants believers not enquirers. That, and BrainGym’s claims to secret knowledge that only their approved instructors can pass on makes it seem more like a cult. Just had another look at the TES website. Heath still hasn’t come up with the evidence that Brain Gym works any better than ordinary excercise. We can draw our own conclusions from this. So what we have from a licensed Brain Gym Instructor, someone who advertises herself as an international authority and world-wide consultant, is the claim that Brain Gym exercises help blind children see, crippled children walk, and autistic children speak. Of course, when asked to supply scientific documentation for these incredible claims, she has nothing to offer beyond her own observation and anecdotes. In short, she says these things happens; therefore, we are supposed to believe her. So too are the parents of blind, crippled, and autistic children. As one who counsels parents of children with disabilities, I am hard-pressed to think of anything more unprofessional, ill-advised, and potentially destructive. Readers should also know that the same Brain Gym luminary referred to above is also a practitioner and advocate of the Gentle Winds Project, a group in Maine who advocate wearing healing devices to cure a wide range of human ailments. They tell us that these devices (charts one hangs on the wall and objects that resemble hockey pucks) have been received from the spirit world and therefore exactly how they work cannot be understood by anyone currently on earth. The State of Maine has sued them, and one can only hope they will be put out of business. Those who wish to extol the benefits of Brain Gym are certainly free to continue doing so. One would hope, however, that sometime, during a lucid moment, they would recognize the possibility of looking like, sounding like, and walking like a duck. academics who question what, if any, curative effect it has. item on DDAT on Channel 4’s Richard and Judy. comprehension, writing, social skills, self-esteem and co-ordination”. all activities, including reading and writing. UK, the US and Sweden. experiment, described in four papers spread over two years. of psychology at Sheffield university. financial connection of any kind with Wynford Dore”. equipment that includes a balance board and beanbags. for each child was retested every six months over the following 18 months. Reading and annual national curriculum test results were also compared. skills, which were not being directly exercised, also improved. Professor Reynolds, “bring us very close to a cure”. But critics challenge the experimental basis of DDAT and say it is flawed. academics have argued that the Balsall Common results prove nothing at all. unscientific that the findings are unreliable. Institute, says: “I don’t think they are seeking to disprove a hypothesis. reliably be used to test a treatment for dyslexia. school or being given special attention and encouragement. university. She says the sample group was “disgracefully small”. to them. Teachers are notorious for giving pupils the benefit of the doubt. Curriculum Authority and which inevitably varied from year to year. results. “All treatments involve some kind of expectancy effect,” he says. the treatment seems to offer more. includes replication: one experiment with one set of results is not enough. clinical-type trial with proper sample quality and control groups. them on the grounds of “commercial confidentiality”. pay for DDAT treatment, says Professor Margaret Snowling of York university. Edinburgh, Sheffield, Manchester and Bedford. to follow in Canada and New Zealand this year. them successfully, according to DDAT. Each pays fees of around Â£1,500. which he says is “totally independent”, but also from “lots of studies”. Unbelievable – I was made to do brain gym! I went to a Yr 2 parents evening last week at my daughter’s school and the teachers made us all to stand up and do some brain gym! Apparently, if you put your fingers on your jawbones and open them really wide, it makes your brain more ready to learn! Then, we had to point our hands right in front of us, and move our arms across to the other side of our body – this, apparently, helps to connect the two parts of your brain together and make you more able to concentrate and learn better. I can’t believe the school is peddling this sort of dodgy stuff. The head is even a science graduate. When I took your original article to the deputy head last March, she said: “Well.. he’s not exactly disagreeing with it!” and simply filed it away. What more can I do to stop my daughter being brain-washed like this? Is there anything you can do to put this into the news pages so it will be seen more? I’m a parent governor and should be able to do something but I know I am up against a load of alternative health anti-MMR Gillian McKeith-loving Daily Mail-reading parents and staff! As much as I would love to name and shame the school, I better not. But I will tell you that it’s in South-East London. I’ve just been to a session at my local primary school entitled ‘Helping Your Children Learn’. Lets learn about this fantastic new tool in schools – Brain Gym… a session of touching your nose and ears and the same time then took place which then followed by the Durham fish oils ‘trial’ . Oh, and lots of Powerpoint pictures of ‘a brain cell’. Waste of time! Never mind the tea and biscuit was nice. Hi everyone. Discovered the conversations regarding Brain Gym today. I’m a Science teacher in Australia and I use Brain Gym in my classes. Now, now……before you all get overly excited, you need to remember that, first and foremost, Brain Gym claims to be “Edu-K” or kinesiology applied to education. And that’s exactly what it is! K-I-N-E-S-I-O-L-O-G-Y. Kinesiologists claim that their interest is in the scientific study of human movement. I don’t think there is anything really scientific about it. Alot of the Brain Gym babble refers to strange little snippets of information that do not seem to be backed up by any research, as you’ve all been pointing out. * does seem to shift kids to the “learning time” mindset, rather than “play time” mindset. Most students enjoy the movements, especially 12, 13 and 14 year olds. Older kids often refuse to participate – and that’s fine too. It is absolutely insane to present the Brain Gym movements as gospel or well-researched whole-brain learning truth. Unfortunately, this is what’s happening. Teachers are attending courses (between 1 and 4 days), being blown away by what they learn and taking this information back to schools, acting as though they are now learning and neuroscience experts. I was impressed with my brain gym course facilitator. She presented none of the nonsense that I’ve heard others have been saying. It was just straight down the line. What I have found is that my students are better able to focus on the learning experiences I have prepared for them AFTER engaging in the brain gym movements and/or pace. And if that helps them with their learning, I don’t really care about the lack of information coming from Brain Gym. The reason they can’t pass it on is obvious – they don’t really have it. Don’t take it for more than it is (even though it claims to be more). It’s a series of movements which will help some individuals, at some stages in their lives, to focus their minds on some things that others feel are important. Human body – about seventy percent water, no? Human body, lacking water… pile of dust, bone, &c, no? Gotta be painful. Should be a charity for that. Help the Dusties. Does anyone know anything about the Arrowsmith program developed by Barbara Arrowsmith Young? It’s supposed to be based on the theory of neuroplasticity to retrain the brain and get rid of learning disabilities. Anyone want to get their “science” teeth into it?